2 Days canoeing / 1 Nights at Pioneers Camp. Take a leisurely paddle down the Zambezi River following the early pioneers' explorations along the quiet backwaters of the river, close to the shoreline, looking out for game and bird life. 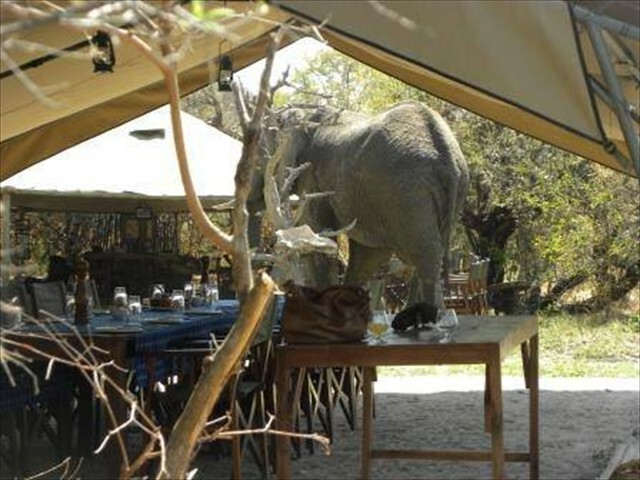 Spend a night mid-way at the lovely Pioneers Camp located inside the Zambezi National Park. 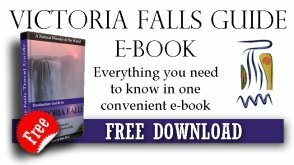 You will be collected from your hotel in Victoria Falls (or a specified meeting place) early in the morning. You will be driven into the Zambezi National Park and in a morning game drive through the park to the launch point for the canoeing. The drive in some places takes you close to the Zambezi River so have your cameras ready and binoculars ready. Upon arrival to the canoe starting point, you will meet your guide and have a cup of tea/coffee or a cool drink while he gives you a safety briefing. 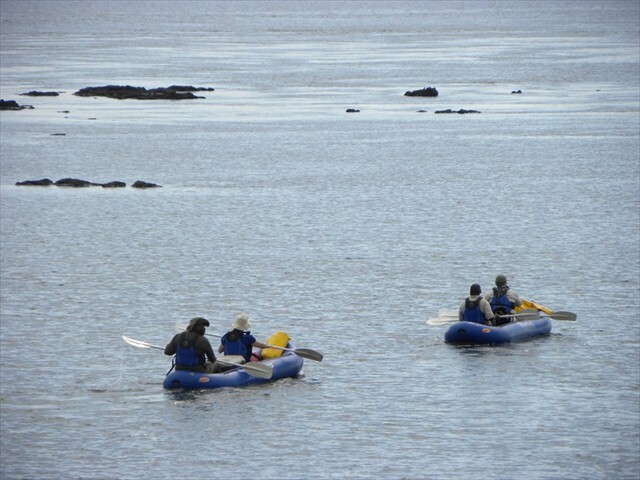 After some practice paddling, you get into the rafts and begin going down the river. Look out for birds, game, and enjoy the quiet of the Zambezi River. In the afternoon, you will stop and have a relaxed bush lunch under the trees, then carry on down the river to Pioneers Camp. 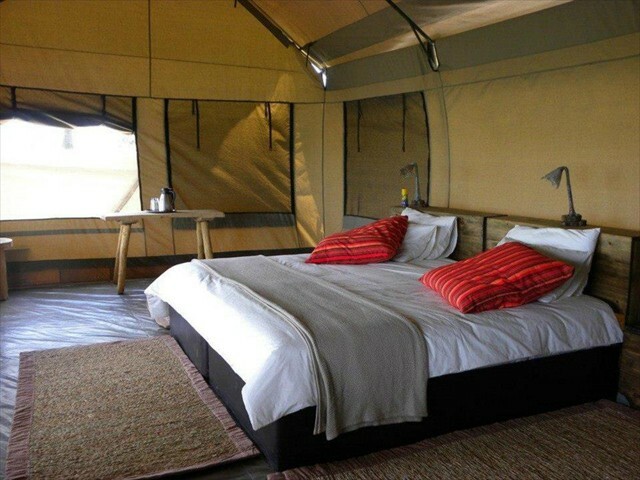 Your luggage will be in your tented lodge and you can have a nice cold drink. After a shower you can socialise at the camp fire with drinks and snacks before dinner is served. After dinner you retire to your tent and listen to the sounds of the river and the bush. You have a choice to take a morning guided bush walk or stay in the camp. After breakfast, the second leg of canoeing stars and this time, the speed picks up as the river is fast is some places. There will be a picnic stop at lunch time and some time to relax and enjoy the surroundings. Then the final portion of the canoe journey continues. At 16h00 you will get out of the river and relax while everything gets packed up for you return drive to Victoria Falls town. 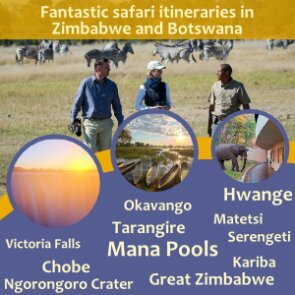 All meals and drinks; return transfers from Victoria Falls town; accommodation; game drive; use of canoe and safety jackets; National Park entry fees. 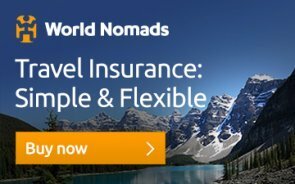 Flights, visas, airport transfer (which can be arranged at booking), tips, premium brand drinks. Sunglasses, raft-appropriate sandals/shoes, t-shirt, shorts, swimming attire.